Psalm 23 includes reading of the eponymous prayer followed by magical Harp music based on original composition of Johann Sebastian Bach. 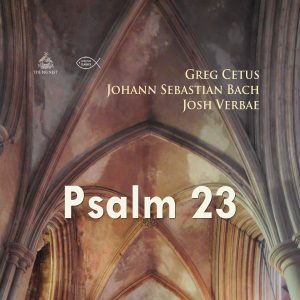 Bach composition includes: Prelude in C minor BWV 999adapted for Harp and performed by Greg Cetus. Johann Sebastian Bach was a German composer and musician of the Baroque period born into a great musical family. His father Johann Ambrosius Bach was the director of the town musicians, and all of his uncles were professional musicians. Bach is famous for his work’s musical complexities and stylistic innovations, technical command, artistic beauty, and intellectual depth. Bach’s compositions include the Brandenburg Concertos, the Goldberg Variations, the Mass in B minor, two Passions, and over three hundred cantatas of which around two hundred survive.